For many Americans, their house is their most valuable investment. If you’re planning on selling your house, or think you might in the future, there are ways you can increase your home’s value so you can get the most money from the sale. The good news is that you don’t have to spend a lot of money to do this. In fact, increasing your home’s value is easily doable on a modest budget. You can add a lot more value to your home by actually spending less of your own money. People aren’t going to be very inclined to buy a house that looks like it hasn’t been cleaned in years. You can do simple things like cleaning out the clutter and getting the carpets professionally cleaned. If you have wood floors, get them buffed and waxed. Don’t forget to clean in all those nooks and crannies you’ve neglected over the years. You might never look in those areas, but a potential buyer surely will. The kitchen has always been considered the heart of a home. Upgrading your kitchen appliances will make it much more attractive when your house is on the market. 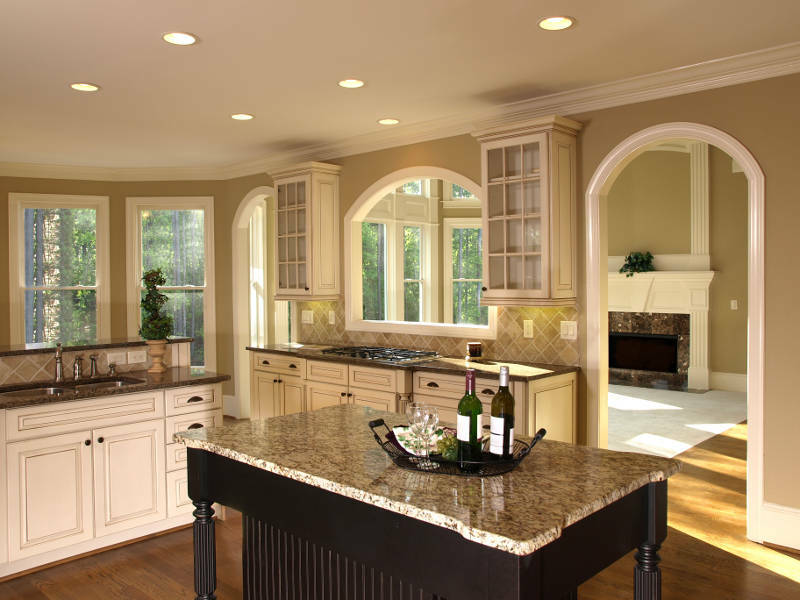 Installing granite countertops and new flooring can also make your house look more appealing. Don’t forget the cabinets either – you can repaint them or install new cabinets with plenty of storage space. The bathroom is the workhorse of any house. It gets used multiple times daily and therefore is an important consideration for any buyer. If you haven’t already, upgrade to a more efficient low-flow toilet. Install new sinks with attractive faucets. Don’t forget the little things like making sure all the bulbs in the vanity light fixture are in working condition. Everyone wants to save money on energy these days. An energy efficient house can save the homeowner thousands of dollars over the course of several years. Install energy efficient windows that’ll keep your home cooler in the summer and warmer in the winter. Smart thermostats that adjust the temperature based on your schedule can also save a lot of money. If you really want to show you’re serious about energy efficiency, install solar panels in order to cut your electricity bill to nearly zero. 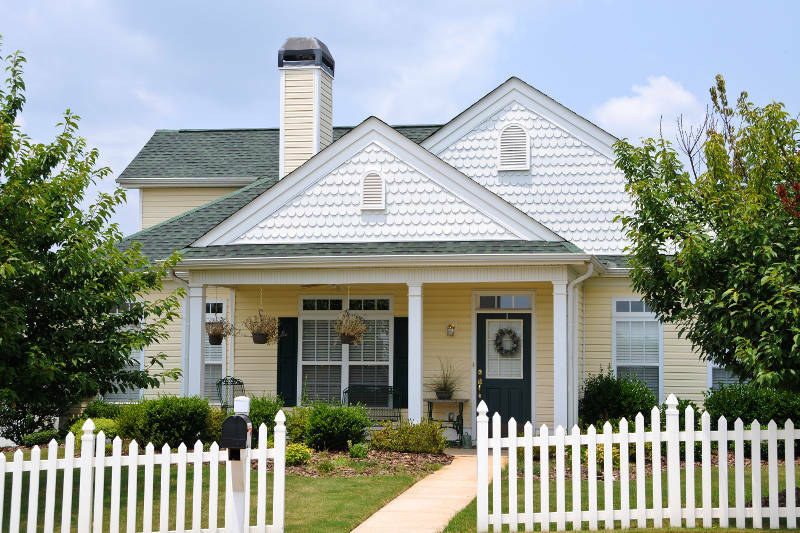 Don’t forget that your home’s curb appeal is just as important as how it looks on the inside. To increase curb appeal, clean up your shrubs and bushes. If there are any large trees on your property, make sure that they are properly trimmed. In the spring and summer months, a couple of flower beds will make your house look even more inviting. The lawn also needs care as well. Keep your lawn mowed, watered, and fertilized. A little lawn care can make a big difference. Finally, remove any large stumps or other potential hazards. This goes for both the inside and outside of your house. A good paint job will make your house look like new, even if it’s a few decades old. New paint will also cover up the signs of wear and tear that many houses start to show as the years go by. In addition to paint, consider keeping your interior wall colors neutral. Potential buyers want to imagine what themselves living in your home, with their tastes and style. It’s really hard to do that with bold colors. Keep things light and neutral. Also, keep any paintings or pictures you hang on the wall tasteful and to a minimum. Less is more, especially when selling your house. Historically, technology does very little to increase home value. Those hard-wired surround sound systems from the nineties just aren’t popular anymore. However, smart home technology like Nest thermostats really appeal to today’s buyers. You can also look at smart appliances for the kitchen. Wireless security systems, especially ones that are easy to customize, are also very popular. These types of upgrades will especially appeal to millennial home buyers who are used to getting stuff done with the touch of a finger. Don’t DIY everything to save money. While you might be able to install those new cabinets yourself, your shoddy workmanship might turn potential buyers off. For larger jobs, hire a professional, licensed contractor so the job gets done right and the end results will look great. A contractor might cost a little more than going at it yourself, but the potential increase in your home value by having quality craftsmanship will pay off later. Get rid of those old ceiling fans from a decade ago and upgrade to something new and modern looking. Even small items like light switches, outlet plugs and faceplates can be upgraded for a better look. Remember, the small details count. Selling your house is a big endeavor that takes a lot of time, thought, and planning. If you’re going to be selling your house soon, then it’s better to start making improvements now. You can always talk to your real estate agent for advice on how to make your home more marketable. One of the most biggest ways to improve your home’s value is to replace the windows. Homeowners today are looking for double pane, argon gas-filled vinyl windows which is exact what you’ll get with Feldco. Feldco is Milwaukee’s number one window company – we’ve served over 350,000 happy customers. Get a free quote now and see why we’ve been able to help so many people with their home improvement needs.